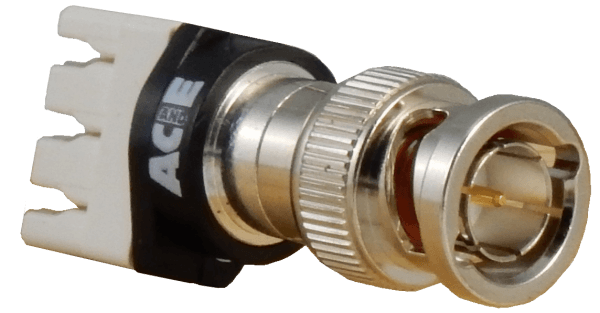 AC&E’s Single Baluns connect coaxial connectors to low cost twisted pair cables in Telecom networks. In addition they are faster and easier to terminate than coaxial connectors. The final solution is therefore faster to build, smaller and lower cost. Transmission performance exceeds the ITU’s G.703 requirements and the balun is small, shielded and has low loss. They are produced to suit network transmission rates from E1 to STM1. We created the Single Balun ago for for the world’s first complete network conversion from coax to twisted pair. Connect your network with reliability proven over 25 years. 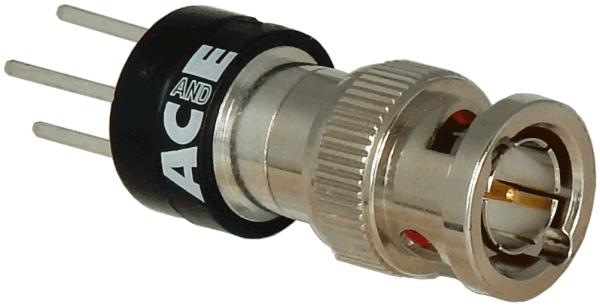 AC&E Single Baluns are available with the coaxial connectors found in Telecom networks around the world. These include popular coaxial connectors BNC, 1.6/5.6, 1.0/2.3, BT43, SMB as well as special types. Each connector is available in both genders and a variety of mounting styles. Furthermore our Single Baluns terminate twisted pair cables with conductor sizes from 0.25 to 0.65mm (22 to 30AWG). They are available in three main families each offering different twisted pair connectors.